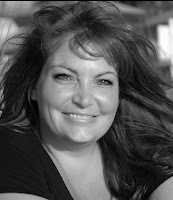 Stopping by right now is the beautiful Kristie Cook, author of the Soul Savers Series. She here today to talk to us about how time flies.....sot of lol. I have no idea if that title makes sense but who cares? 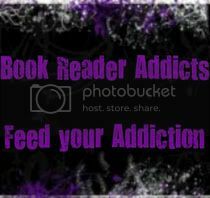 Book Reader Addicts is two years old! Woohoo! But man, time really does fly, doesn’t it? Two years ago, my first book Promise had just released, and I’d only just begun immersing myself in the world of book blogs and fan sites. Book Reader Addicts was among the first I really started following on Facebook and we were both babies. Since then, we’ve been busy, helping each other out when possible, cheering each other on and creating this fabulous, synergistic relationship. And look at us now! 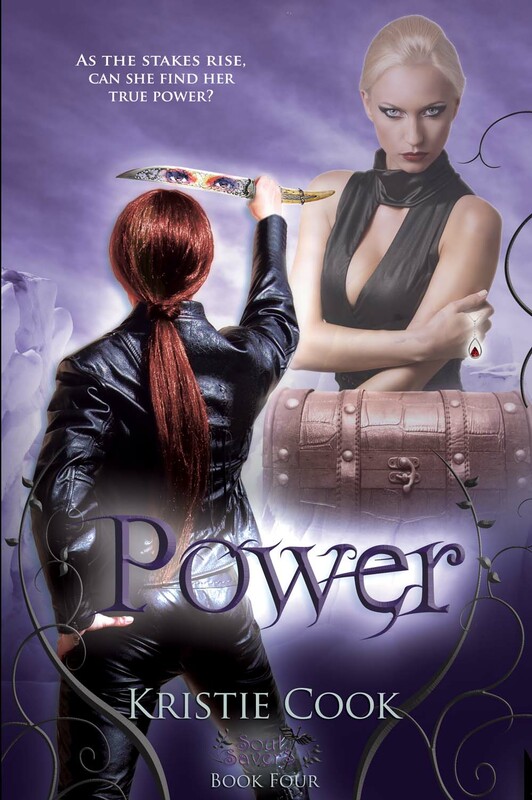 Over 5,600 awesome followers of the BRA page, and here I am, celebrating the release of Power, my fifth book and the fourth in the Soul Savers Series! I’ve sold over 100,000 books since those early days. Crazy, isn’t it? I don’t think any of us expected we’d be where we are now. I credit BRA for much of my success. I’m eternally grateful for allowing me to post on the page, to share in special events, to participate in giveaways, and for your reviews of my books. You guys are my favorite addicts of all time! But still…two years?!?! Where has the time gone? Well, for me, it’s gone into a lot of writing. And probably for all of us, into a lot of reading. I’ve discovered so many new authors and books thanks to pages like BRA. I’m sure you have, too. How fun to share our reading pleasure with friends who are just as excited as us about new releases and meeting authors – rather than giving us the freak-eye like our “other” friends do (those silly non-readers have no clue, do they?). Thank you, Cynthia and everyone at BRA, for creating this community where we can all come together, readers and authors alike, to discuss books, swoon-worthy characters, shocking plot twists, lovely swag and other fabulous things. And thank you, addicts, for all of your love and support that you provide authors. I look forward to many more years of reading fun! In celebration of BRA’s two-year anniversary and the Power Release Tour, I’m offering up an ebook of any title in the Soul Savers Series, winner’s choice. I’ll leave it to Cynthia to decide how the winner is picked. Good luck! Kristie Cook is the author of the bestselling, award-winning Soul Savers Series, including Promise, Purpose, Devotion and Power, as well as Genesis: A Soul Savers Novella. 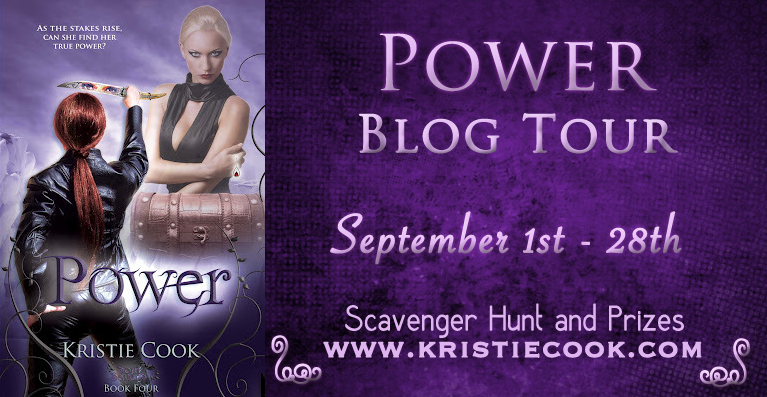 She is currently on a virtual tour celebrating the release of Power. 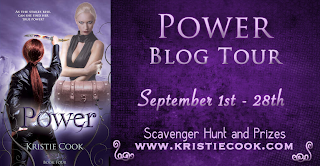 Visit her website at www.KristieCook.com to find out how to win more prizes, including a grand prize of signed books, swag and a $50 gift certificate. If you are wondering, yes we are part of the tour!! And we are the first stop!!!! As mentioned above Kristie has been kind enough to offer up one title in her Soul Savers series in ebook format. (International) It's a great series! 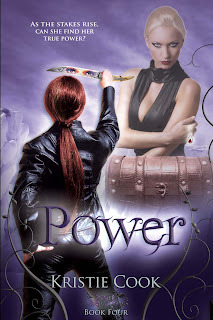 I am actually getting ready to read Power and will have a review soon. All of our giveaways this month will end on October 7th. Yes... Sometimes it dumbfounds me how fast time seems to go. Wonderful post Kristie! :) Yes time flies faster than I realize. Like flash fiction lol. Time flies by when you don't want it to, and crawls when you do want it to fly by. Time flies when you're having fun! And it goes so slow when you're bored and you wish time would go faster! The older I get, the faster it flies! Yes it does. Especially when I have kids and they grow up so quickly. I think time always flies unless I am at work then it drags. Oh for sure. My daughter that just started kindergarten last year is graduating with her master's in the spring and has been married for 8 weeks now! yes!! sometimes WAY to fast!!!!!! Absolutely! Especially raising kids....blink, blink! Time flies when you are in love. Are you ready to be Enticed?